In this guide, we’ll offer some useful tips when you battle the boss, Unbroken Thumos, a high ranking member of the Red Legion. When you reach the boss battle with Unbroken Thumos, you’ll find that the boss comes with two Commander Legionaries. The best bet is to use the various ramp pillars, console stacks, and other objects for cover while battling one Commander Legionary at a time. Note: Take out the two Commander Legionaries before focusing on Unbroken Thumos. Note: Use Super and Grenades to get rid of Commander Legionaries quickly. After you have taken out both Commander Legionaries, your attention should now be on Unbroken Thumos which you’ll want to dodge his attacks while firing at his head. Keep moving around or use a cover to step out from to attack and back behind when dodging its attacks. Note: Thumos has a melee attack that is powerful. If he gets out his sword that’s your signal to back away and keep your distance. During the battle, Thumos will call for reinforcements this will happen at near health and only twice. When additional enemies are added into the equation, simply treat is like you treated the two original Commander Legionaries. Take them down while keeping cover, though it’s also wise to get a few headshots into Thumos when you’re traversing the area. Note: The first wave of enemies will include Psions and Legionaries. 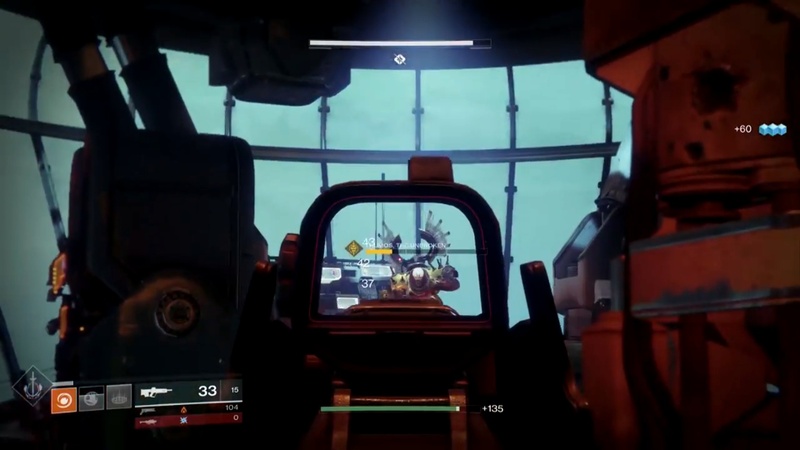 Note: The Second wave of enemies will include War Beasts, Psions, and a Gladiator. Note: Staying under a ramp columns will allow you to avoid being hit by Thumos. Once the lesser enemies have been taken care of and it’s back to being just you facing Thumos the battle should be rather quick. Again continue firing at his head and avoiding getting too close. At the end of this long battle, your Super should be ready to go once again and something worth using against the boss.